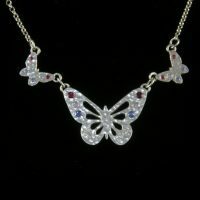 Hammered silver butterflies set with multiple colours of cubic zirconia. Matching earrings available. 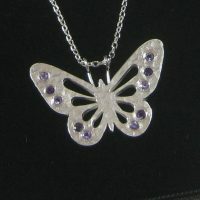 Hammered silver butterfly set with two shades of amethysts. Matching earrings available. 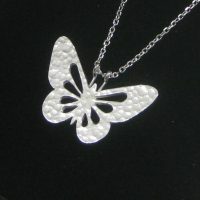 Hammered silver butterfly on an adjustable length trace chain. 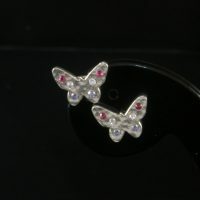 Butterflies made from hammered silver, each set with 6 cubic zirconia in 3 colours. Matching necklace available. 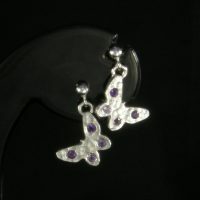 Butterflies made from hammered silver and set with two shades of amethysts. Matching pendant available.